Financial literacy is about how you deal with your money. This is about simple basic things about money. 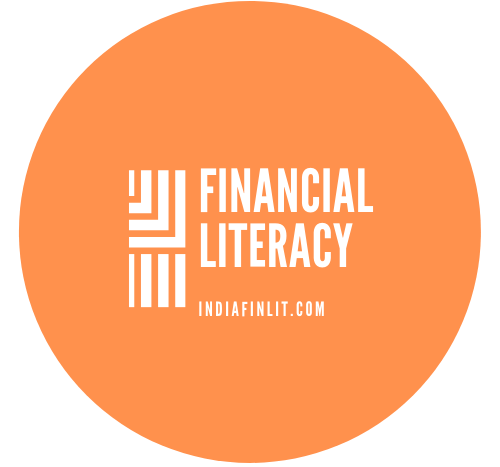 Financial literacy is not necessarily your literacy about the language i.e. reading and writing. It is different. It is about understanding your income, expenses, investments, credit, budgeting, planning, and knowing how money works. It is also about your ability to understand scams. What is your monthly income? Where is it coming from? How to keep earning? What are the implications of not earning? How to earn with investment income? What are your basic minimum monthly expenses? How to spend smart? Why saving is necessary? How to earn on your savings? What are the avenues of investments? Risk and return elements of each instrument of investments? How loans or credit cards work? How the interest element of loans works? What are the implications of delayed or non-payment of loans? How to raise money in an emergency? Knowing your credit rating? What are the implications of financial indiscipline? How to prepare monthly income and expense budget? How to manage your budget? How to plan for the future? How to plan for long term and short term major expenses? How to plan for your retirement? How to plan for contingencies? Why life and health insurance are necessary? This is also critical literacy skill. There are several financial scams happening around us every now and then. This would not be possible if financial literacy was high in our country. A financially literate person can differentiate between scam in a financial product and genuine product. What are your responsibilities towards income tax? Knowing the consequences of non-payment and filing with the tax authority. Do you know about your responsibility for proper record keeping? Do you know the importance of a Will? You are responsible to make your spouse and children become financially literate. These are some of the things you should know to qualify as a financially literate person. You might be thinking these are basic and obvious things but not for many. As per a global survey by Standard & Poor’s Financial Services LLC (S&P) less than 25% of adults are financially literate in South Asian countries. India is home to 17.5% of the world’s population but nearly 76% of its adult population does not understand even the basic financial concepts. I hope my posts help you to better understand the money matters. Share your feedback and the topics you would want us to cover. Handpicked related post: Do you know how you are mismanaging your money? ‹ PreviousDo you know how you are mismanaging your money?